Of all the hidden hotel fees designed to nickel-and-dime the business traveler, the in-room safe charge has to be one of the most irritating. Of all the hidden hotel fees designed to nickel-and-dime the business and leisure traveler, the in-room safe charge has to be one of the most irritating. Of course, most hotels that add a safe fee aren’t transparent about it; they simply add the charge to your account and hope you don’t notice. Typically there will be a small sign at check-in (and another on the in-room safe), both designed to get around the legal issue of “failure to disclose.” Never mind that the signs aren’t likely to be noticed, especially by those least likely to use the safe. I encourage members of Choice Privileges (Choice’s frequent guest program) to protest this practice, even though it’s doubtful that Choice Hotels will put an end to it anytime soon. An Internet search reveals that the group has been charging hotel safe fees—at all its chains—for years. Even the specter of class action lawsuits hasn't been enough to deter the company. And why would they? Even a successful class action suit would recoup only a small fraction of the money Choice has been raking in. Librarians curse censor—Mystery censor on a quest to cross out the dirty words in all the books at the library. 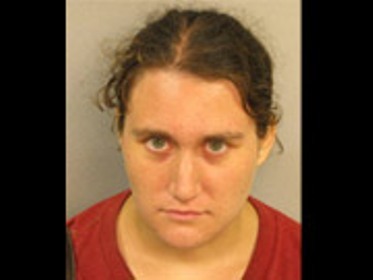 4 children rescued from filthy home, mom charged—Police have arrested a Nashville mother and charged her with aggravated child neglect after her four young children were found living in “deplorable” conditions. She was also charged with 26 counts of aggravated animal cruelty.